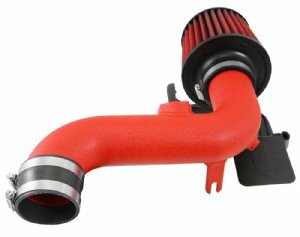 The AEM 21-737WR Performance Cold Air Intake System produces horsepower and torque gains by replacing your vehicle’s restrictive factory air filter and air intake housing. 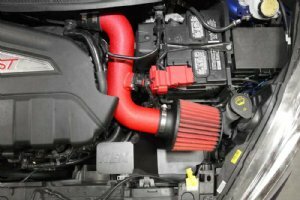 This air intake system was designed, tuned and dyno-tested to fit specific Ford Fiesta ST models. Air enters the system through an oversized AEM Dryflow synthetic washable air filter for outstanding air flow, filtration and performance. 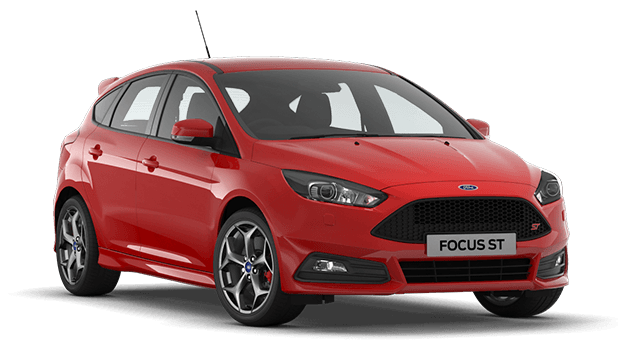 The air filter is located in the original air box space and is protected by a heat shield which is designed to reduce intake air temperature and increase horsepower. The intake tubing is constructed from mandrel-bent aluminum featuring a durable textured red powder coated finish. 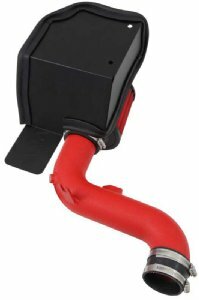 This air intake system was developed to accommodate the engine’s factory emissions control devices including the mass air flow sensor and vent line. 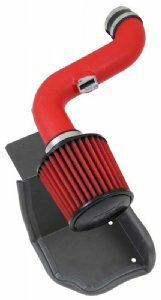 The tapered cylinder shaped AEM Dryflow air filter is made from an oil-free, synthetic filter media that can be used for up to 100,000 miles before cleaning is needed (depending on driving conditions). The air intake system is easy to install with commonly available tools and it is backed by AEM's Lifetime Limited Warranty. Some AEM air intakes are not legal for sale or use in California and other states adopting California emission standards, while others are 50 state legal. View the 21-737WR vehicle applications to determine the legal status for each vehicle.